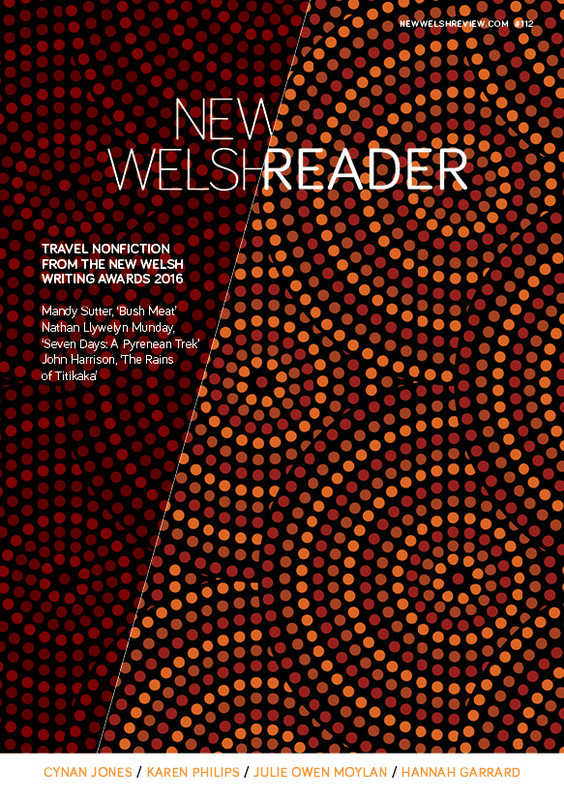 New Welsh Reader 110: publishing the best literary writing from Wales. Wales’ enduring flair for the short story is gradually being recognized on an international stage, with our best writers in the form, including Cynan Jones, Robert Minhinnick, Rebecca F John, Francesca Rhydderch, Tessa Hadley, Tyler Keevil and Carys Davies having being recently recognized by prizes such as the EFG Sunday Times Private Bank Short Story Award, the BBC National Short Story Award, the Edge Hill Short Story Prize, the (American) Independent Publisher Book Awards and the Frank O’Connor International Short Story Award. The latter was awarded this autumn to Carys Davies’ marvellous collection, The Redemption of Galen Pike, reviewed highly favourably in our spring edition (107). Collections by promising authors of the form, Thomas Morris and Rebecca F John, were published between August and October by Faber and Parthian respectively. John was shortlisted for the Sunday Times award for a forthcoming story from her collection, Clown's Shoes , out in October. This book also featured in our audio review, broadcast on 1 November. Morris, meanwhile, appeared in late September alongside Davies at the Cork International Short Story Festival as well as joining the author with Keevil and Minhinnick in the widely praised and authoritative recent showcase, New Welsh Short Fiction , reviewed in our first Review supplement on 1 July. Morris’ debut, We Don’t Know What We’re Doing (Faber), meanwhile, was reviewed in our November Review supplement by Costa-winning poet, Jonathan Edwards. In her review of New Welsh Short Stories (edited by Francesca Rhydderch and Penny Thomas, and published by Seren), Vicky MacKenzie admires its celebration of the ‘diversity... internationalism’ and the ‘sometimes downright bizarre’ in contemporary fiction from Wales. MacKenzie emphasised that in this collection, ‘form’ is privileged above ‘the hackneyed “slice of life” model’ for short fiction or indeed any attempt to ‘specially’ represent contemporary Wales. Editorial: What\'s the Time, Mr Wolf?